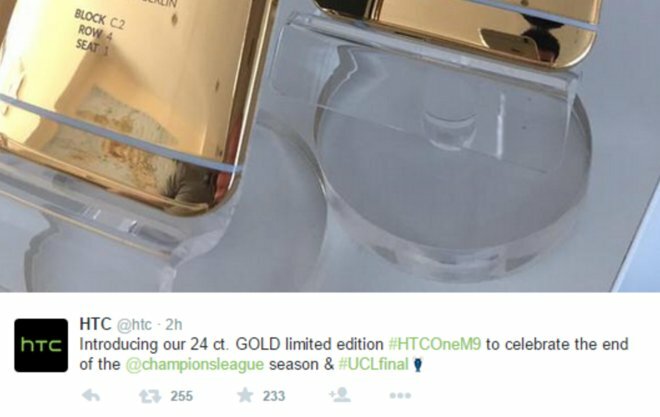 Taiwanese device maker HTC recently unveiled a limited run of its flagship One M9 handset plated in 24-karat gold, showing the new device off on Twitter— using photos taken with an iPhone. HTC teased the gilded smartphone with three pictures, including one render and two real-world shots. 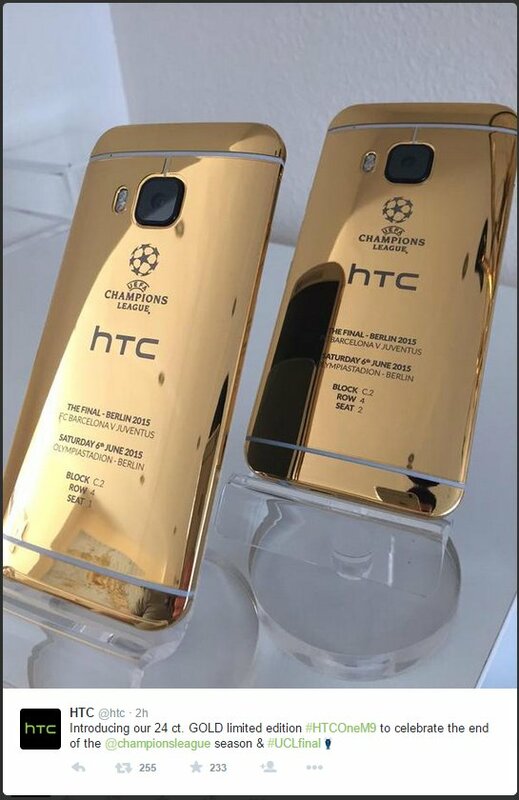 Unfortunately for HTC, as noted by VentureBeat, the polished gold revealed a reflection of the photographer and his iPhone in one of the snaps. The offending image was subsequently removed, though not before being noticed by numerous Twitter users. Apple has won a substantial amount of free publicity in other companies' marketing campaigns over the years, as celebrities and agency staff continue to prefer the iPhone to devices they are being paid to promote. Last year, Oscars host Ellen DeGeneres famously used a device from event sponsor Samsung to take an on-stage selfie, but returned to tweeting after the event with an iPhone. Other promotional slip-ups have included the likes of soccer great David Beckham, T-Mobile chief John Legere, and tennis star David Ferrer. Ferrer's was perhaps the most embarrassing of that trio, as he tweeted his support for Samsung and its Galaxy S4— with a pre-written promotional message— via his iPhone.